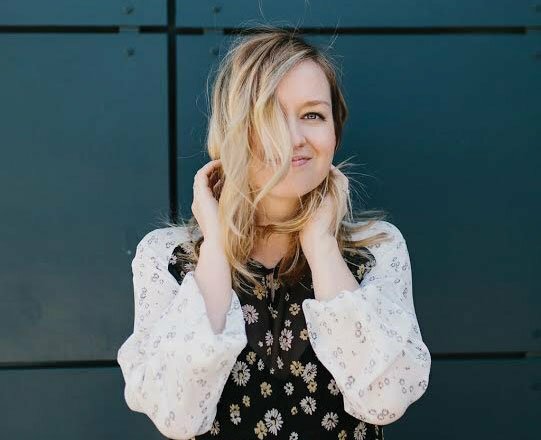 It’s already summer style hot here in Texas. We’ve got triple digits predicted for Memorial Day weekend, so cue tank tops and shorts for the next four months. In my book, that means it’s officially ice cream season, too. 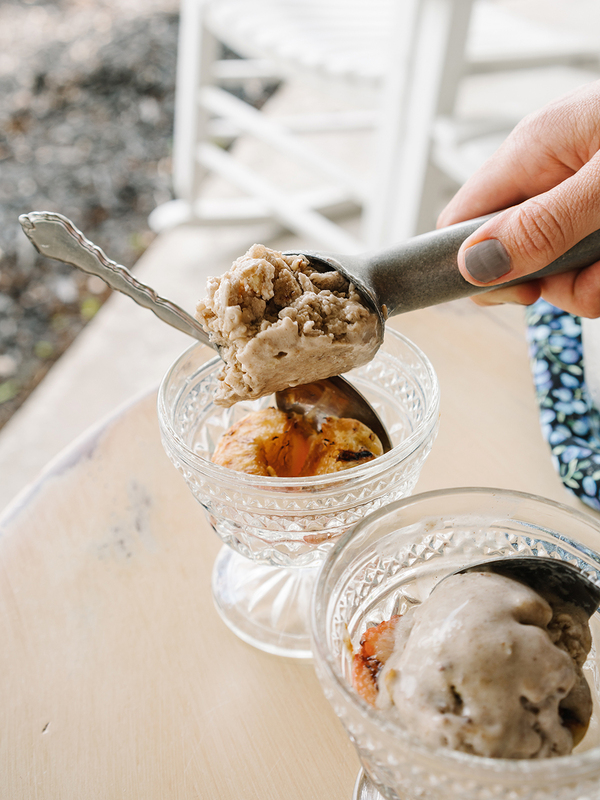 Not that I need an excuse to eat ice cream, but we all know it’s hard to resist that ice cold creamy perfection during these hot summer months. For me, summer also means long days so I’m often enjoying the evenings outside grilling up our favorites with my husband. My favorite thing about cooking on the grill is that it’s simple. You don’t have to do a lot to accomplish delicious flavor. Dessert doesn’t have to be complicated either. 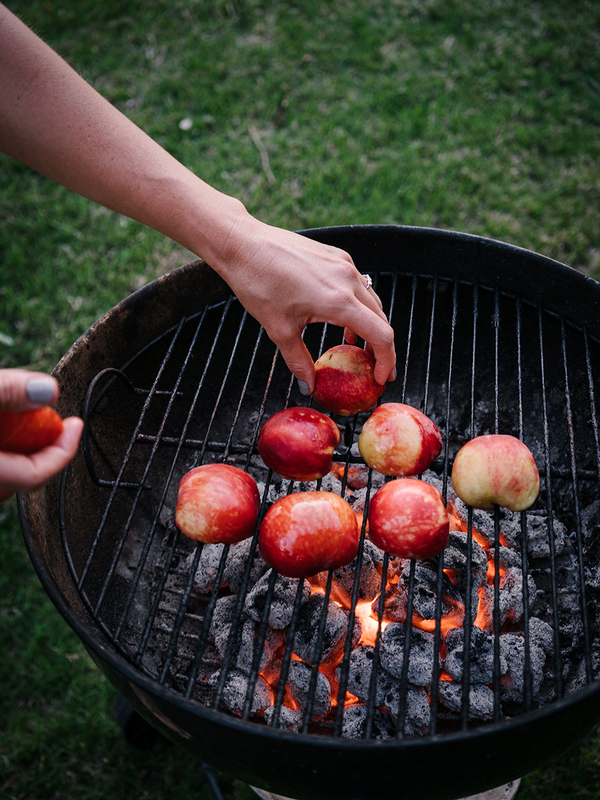 There is nothing quite like a warm grilled peach to finish off a dinner from the grill–well unless you of course you take it to the next level and add a little ice cream and pecans. That’s where the other half of this recipe comes in. Perfect to cool you down and fulfill that craving for a little something sweet, you’re going to love this super easy nice cream recipe. 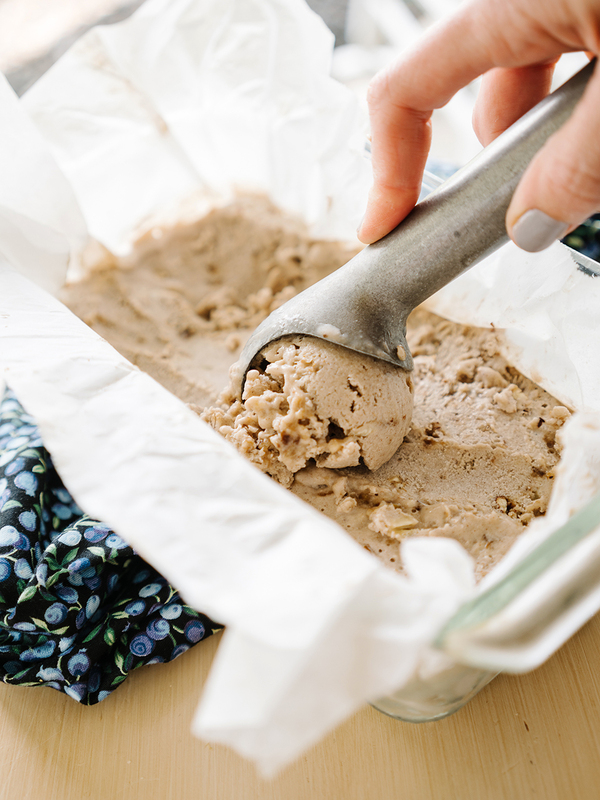 In case you’re unfamiliar with the idea, “nice cream” is a play on ice cream with two major differences, there is no dairy and it doesn’t require perfect temperature cooking and an ice cream maker. Similar to the texture of soft serve, this ice cream will hit the sweet spot without the guilt. The base ingredient is likely one you have on your counter right now: bananas! This recipe is less than 10 ingredients and if you have a blender and a freezer, you can throw this together in just a few minutes, place it in the freezer and forget it until serving time. It’s creamy, with just a hint of cinnamony sweetness. 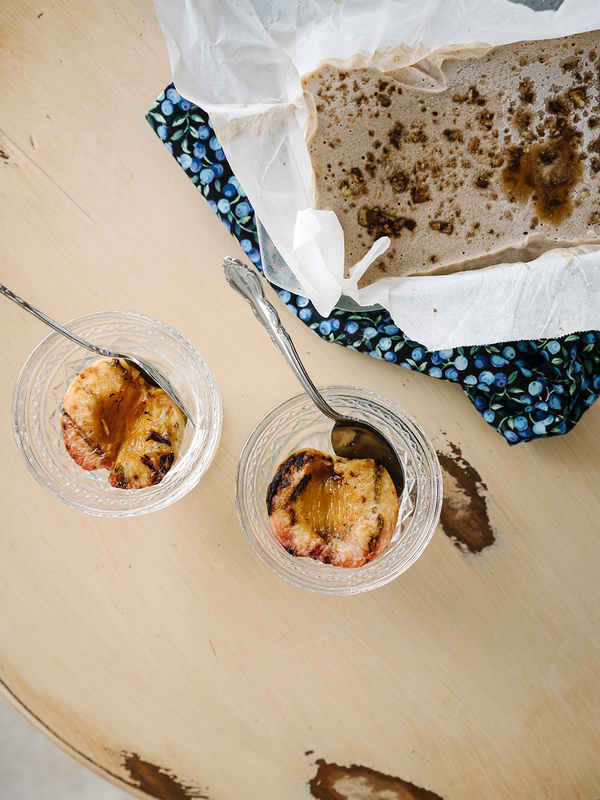 Plus has a little surprise crunch with toasted brown sugar pecans swirled in. 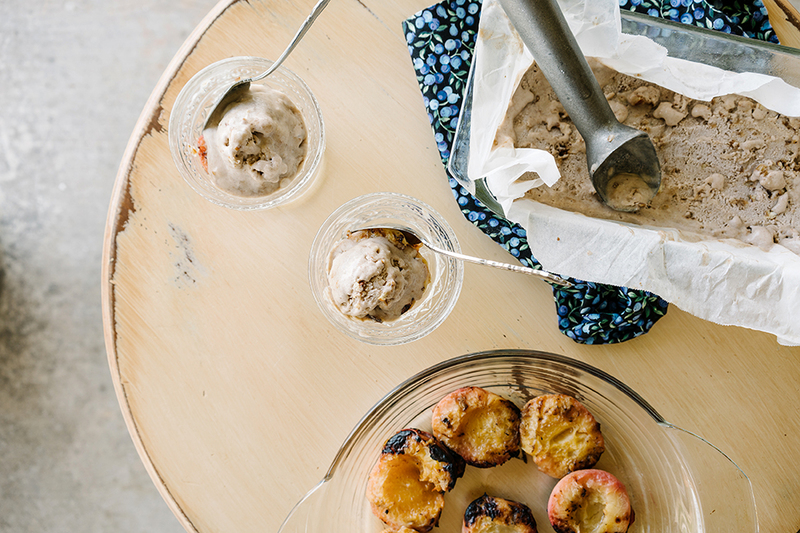 This nice cream scooped onto a grilled peach is literally what summer tastes like. Whether you’re making it for a week night in or a barbecue with friends, these flavors will not disappoint. It’s creamy, with just a hint of cinnamony sweetness. Plus has a little surprise crunch with toasted brown sugar pecans swirled in. 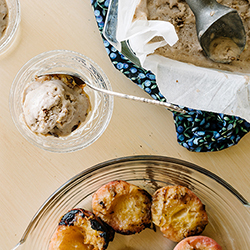 This nice cream scooped onto a grilled peach is literally what summer tastes like. Line a 9”x5” bread pan with parchment paper. Combine frozen bananas, coconut cream, vanilla, cinnamon, and honey in a blender or food processor. Cream together, occasionally scrape down the sides and continue to blend until smooth, approximately 3-5 minutes. Pour mixture into prepared pan and place in freezer. Over med-low heat, add oil to small saute pan and add chopped pecans. Stir to toast for about 3 minutes. Add brown sugar and turn to low, stirring as brown sugar melts for about 2-3 minutes (watch carefully so you don’t burn it). Once sugar has melted pour out onto a piece of parchment and flatten with a spatula. Place in freezer for 10 minutes, then pull crisp and ice cream out. Break up crisp with a wooden spoon into pieces to create a crumbled mixture. Swirl this into the ice cream and then cover with plastic wrap, allowing the wrap to touch the top of the ice cream. Place back in freezer for 3-6 hours until frozen solid. 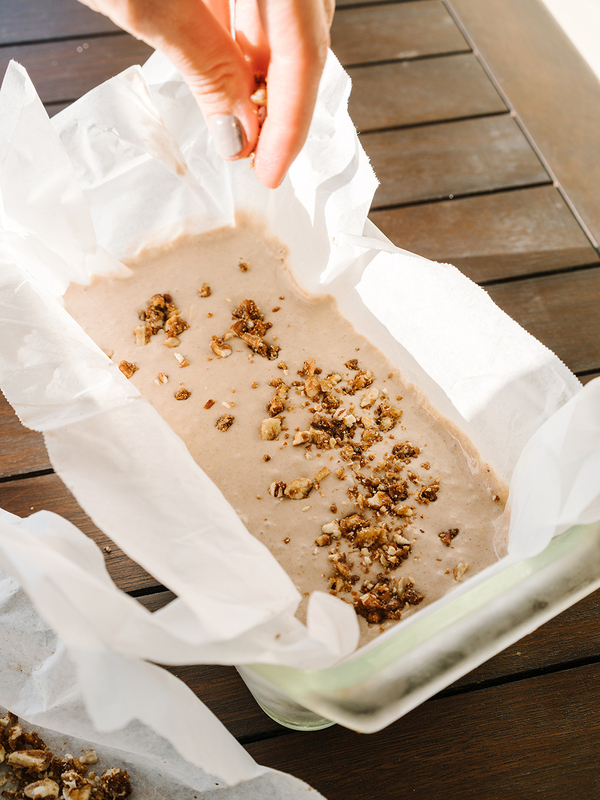 Peel off plastic wrap and allow to sit at room temperature for 10 minutes to soften before scooping. 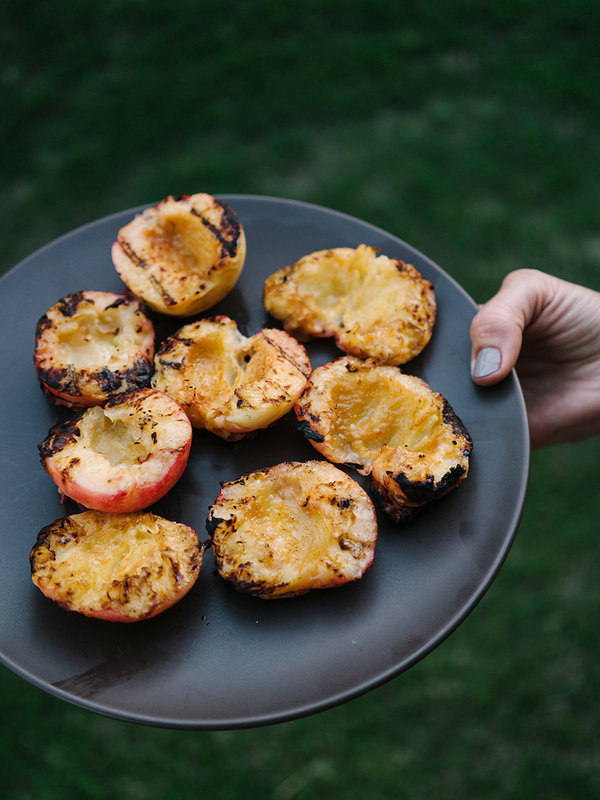 Cut peaches in half and remove pit, then brush each cut side with oil. Place cut-side down on grill for 4 to 5 minutes. Flip the peaches and cook until tender, 4 to 5 minutes. 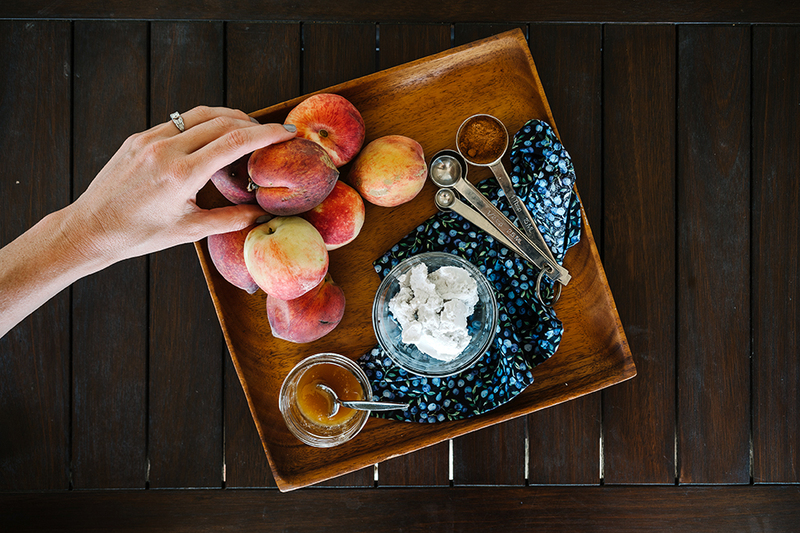 Scoop nice cream and serve over warm peaches. *Best if coconut cream can has been refrigerated overnight. I would like this right now please!! I had no idea I needed this in my life until you posted it. I will definitely need to make this now!